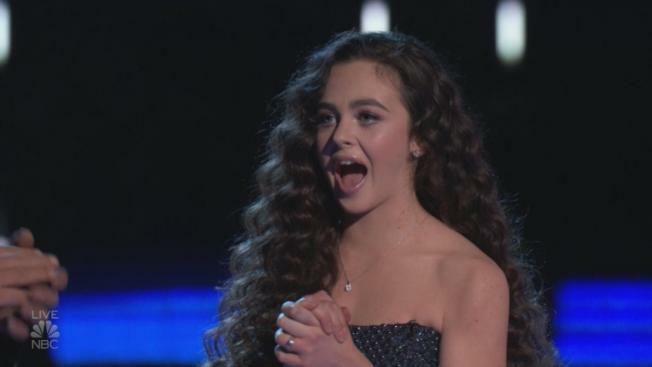 Chevel Shepherd was crowned the winner of season 15 of "The Voice" on Tuesday. Shepard's win marks back-to-back victories for coach Kelly Clarkson, who triumphed over fellow coach Blake Shelton — a frequent "Voice" winner — last season with contestant Brynn Cartelli. "Oh, my God!" a surprised Shepard repeatedly exclaimed as Clarkson jumped out of her coaches chair to join her on stage. Team Blake's Chris Kroeze, one of two country competitors he guided to the finale, was the runner-up. Kirk Jay of Team Blake came in second place and Team Jennifer Hudson's Kennedy Holmes came in third. Adam Levine did not have a contestant in the finals. The show kicked off with 14-year-old Holmes and Kelly Rowland singing the former Destiny's Child singer's dance hit "When Love Takes Over." Shepherd was joined by country stars Dan & Shay for an incredible version of their hit "Speechless." The 16-year-old singer from New Mexico impressed the judges and fans alike all season with her powerful vocals. Kroeze performed "Long Train Running" with his idols "The Doobie Brothers." Shelton's other contestant, Jay, teamed up with Rascal Flatts to sing "Back to Life." Tuesday's night show also featured performances from Panic! At the Disco, Esperanza Spalding and future "Voice" coach John Legend. Season 16 of "The Voice" premieres Tuesday, Feb. 25 on NBC.